Six Month Smiles is a revolutionary combination of proven orthodontic techniques, modern materials, and innovative thought. It works by utilizing specialized clear braces to gently straighten and align teeth in an average time of just six months. Braces are the most widely used and most effective method to give patients straight, healthy teeth and a beautiful smile. There is little debate within the orthodontic community that braces are the most widely used and most effective method to give patients straight, healthy teeth and a beautiful smile. Six Month Smiles has taken the best aspects of braces and modified the treatment and the materials to give adults a common-sense, cosmetic solution that fits your lifestyle. Lucid-Lok® clear brackets and tooth-colored wires are barely visible. 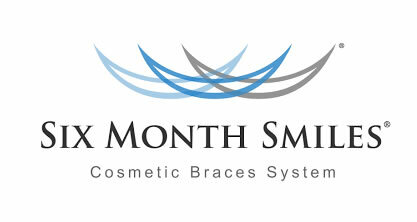 typically less expensive than traditional braces, aligner therapy, or veneers.